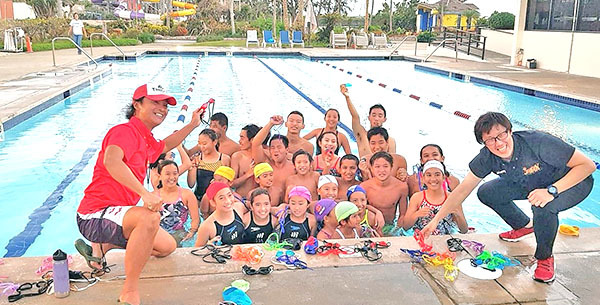 Swimming Center Tsunami Saipan members attended a sports science clinic conducted by a former coach of Japan junior national swim team, making them learn more about their strengths and how to use them to boost their performance. “Each person has its own ‘winning color.’ A color whose muscular strength rises, a color whose body becomes soft, a color which load is applied. FSEM utilizes cranial nerve reactions to produce higher performance. At this lecture, we tried 13 kinds color goggles and had ‘your best and worst color” found. Then, we learn how to use it for usual practice and actual race,” Yoshida said. Each swimmer reacted to the color shown to them and the instructor explain and access their reactions and how these reflect the way they swim. 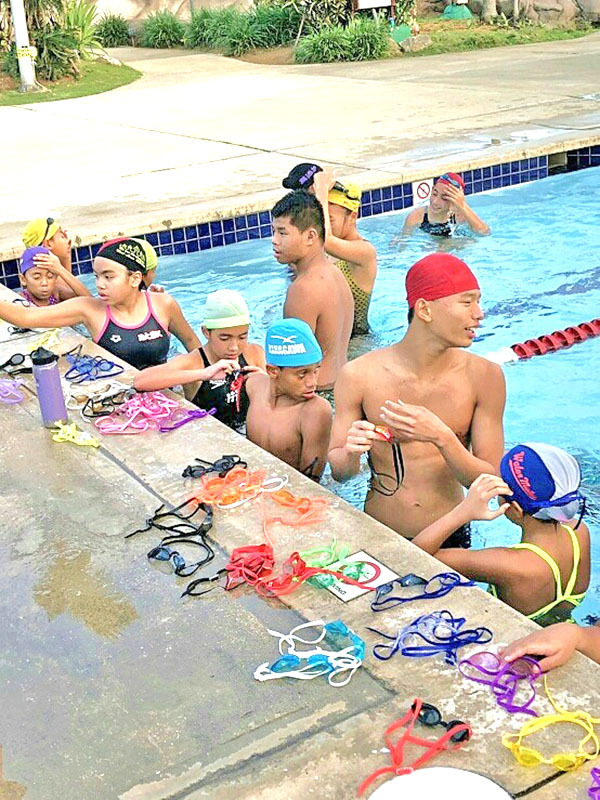 Tsunami Saipan swimmers had different responses to the clinic, but they were united in saying the event helped them rediscover themselves and become mentally strong. “FSEM was an eye-opening event. It showed us how we are better than we think we are and there is a way to unlock our stronger self. I’m grateful the coaches came to share knowledge with us and let us experience new things,” Ashley Dangol said. “Even though we are not in a best situation, as we are still without our 50-meter pool, this clinic helped us find our best and worst colors. Experiencing and knowing this will make us stronger mentally and be ready for a competition,” Juhn Tenorio added. “I was amazed at how my facial expression could control my strength and stability. I was excited and surprised to learn that my best color contributes to my best performance; with stronger pull, better breathing, and more relaxation,” Zhang said. “I think FSEM was an amazing and a very important experience that I had. 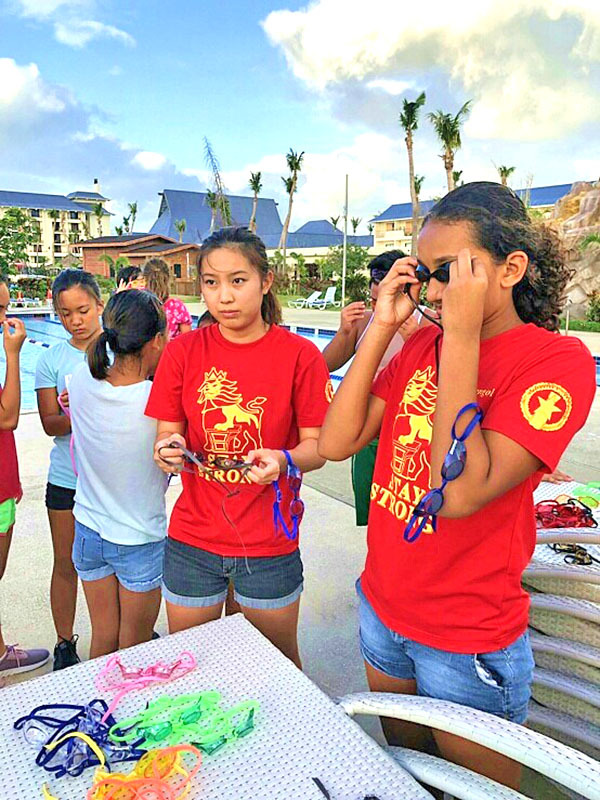 I’ve never thought that color would affect our conditions, and I was very surprised when it did,” Watanabe, the Tsunami Saipan vice captain, said. 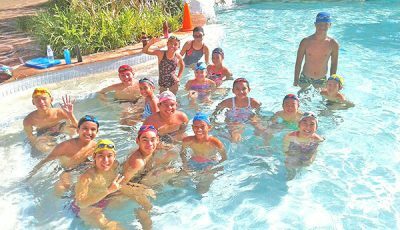 Meanwhile, Yoshida was impressed with the responses of Tsunami Saipan swimmers. “The sense of everyone was so sharp. I can say their sense is sharper than same age Japanese swimmers. 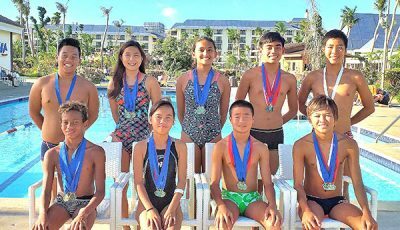 Saipan swimmer’s reaction was so pure, natural and honest. 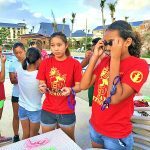 FSEM will be useful for Saipan swimmers. It is one of the opportunities to talk with your body,” said Yoshida, who is among the top FSEM researches in the world. 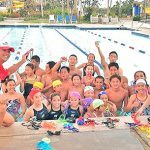 Tsunami Saipan coach Hiro Kimura was also present at the clinic and thanked the visiting Japanese for sharing their knowledge to the swimmers. Kimura also thanked Tasi Tours, Kinpachi Restaurant, and PIC Saipan for hosting them.